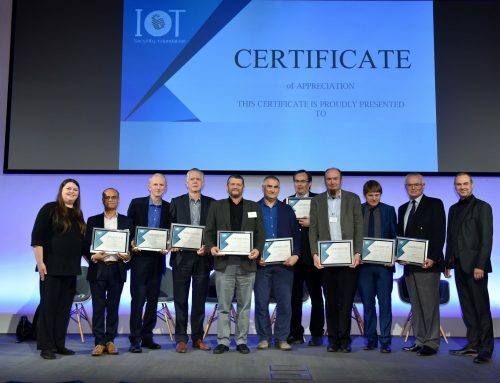 The IoT Security Foundation (IoTSF) announces today a new whitepaper that outlines the benefits that accrue by taking a hub-based approach to connecting IoT devices and systems in the enterprise. Entitled: IoT Security Architecture and Policy for the Enterprise – a Hub Based Approach the whitepaper proposes a hub-centric architecture approach that will accommodate contemporary and future possibilities. “It is important that enterprises are proactive in the way they build and manage their networks as IoT deployments increase. Good design anticipates the evolution of systems over time and extend beyond immediate requirements. Enterprises should therefore identify the primary IoT and security management needs for their organisation in advance of standard solutions becoming available” continues Marshall. John Moor, Managing Director IoTSF adds “This approach to enterprise IoT security is part of a series of hub-based architectures we are publishing that have been applied to a number of IoT contexts. Each illustrates the benefits which may accrue in the specific environment and all are considered to be a good approach to achieving common security goals of confidentiality, integrity and availability”.